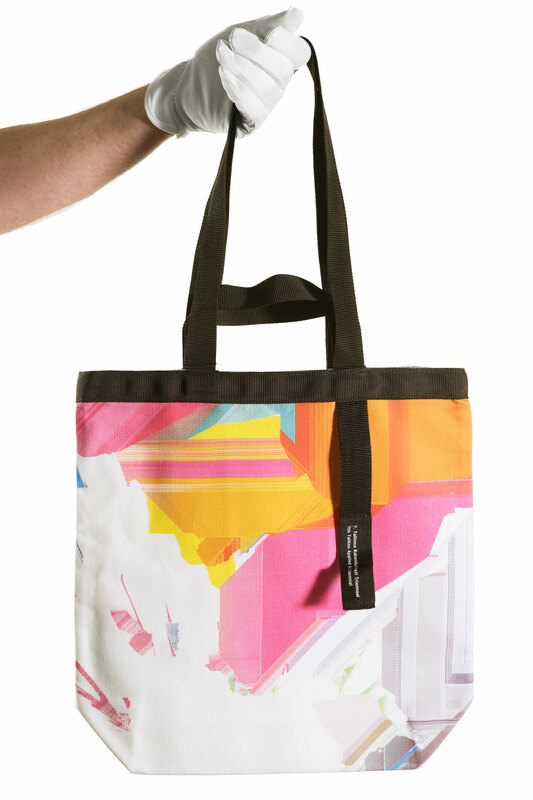 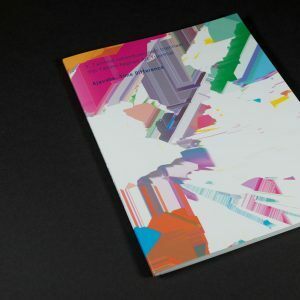 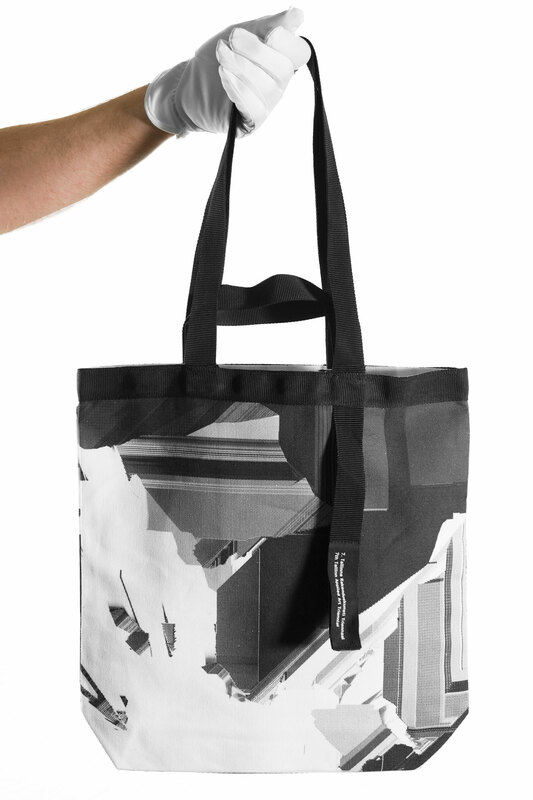 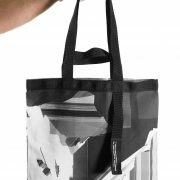 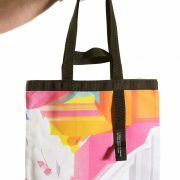 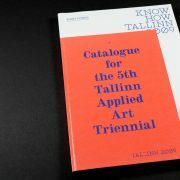 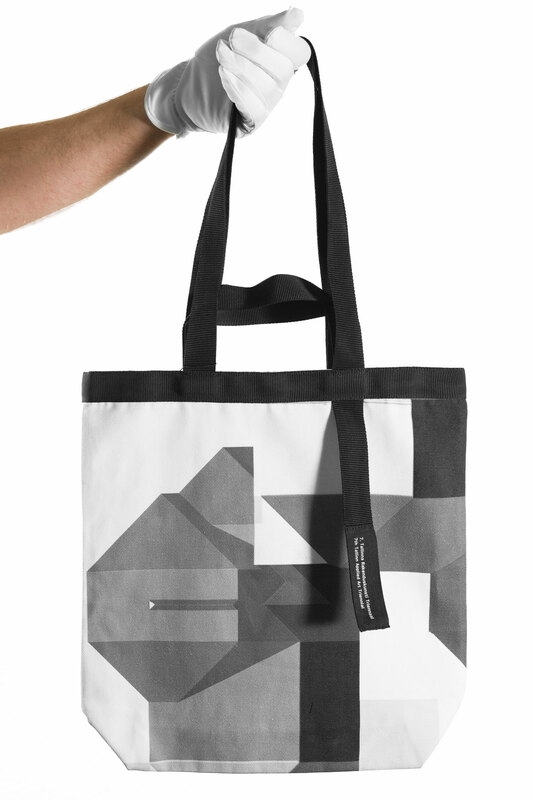 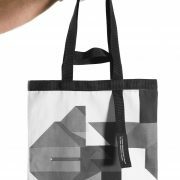 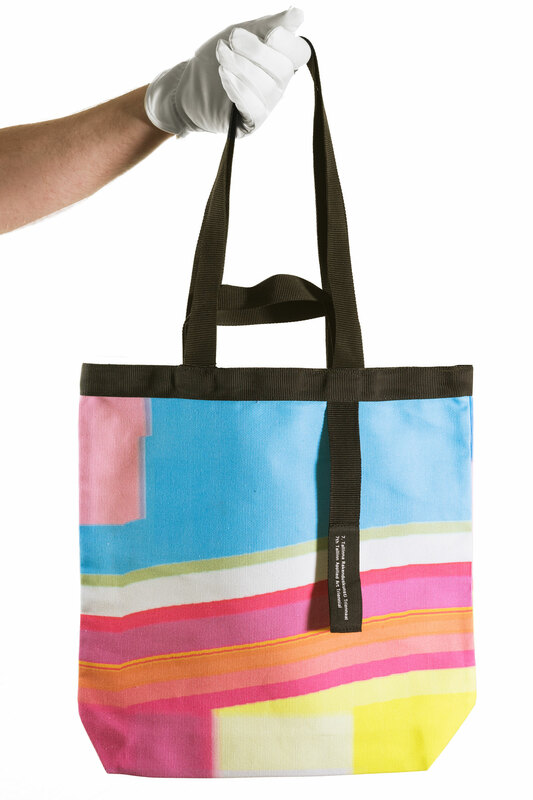 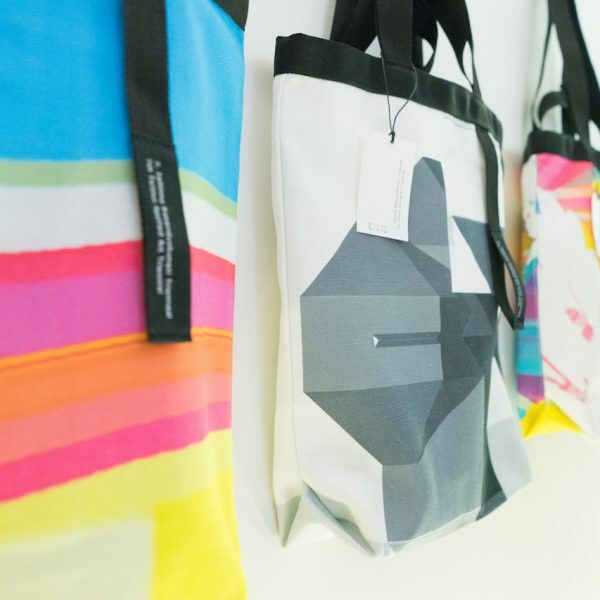 A tote bag designed by Nulku for the 7th Tallinn Applied Art Triennial. 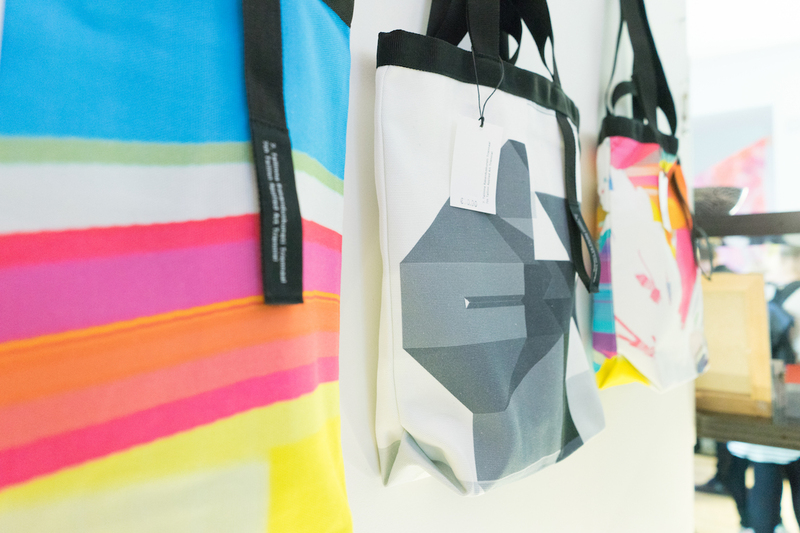 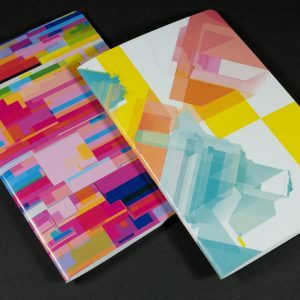 There are four different patterns – two of the them black-and-white and two with colours. Material is 100% cotton, pattern is digitally printed. 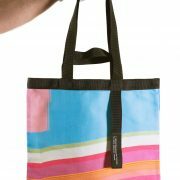 There are long and short shoulder straps.